Solid mobile casino Great IGT casino with of top slots like Siberian Storm and Da Vinci Diamonds. Why Play at LadyLucks Casino? 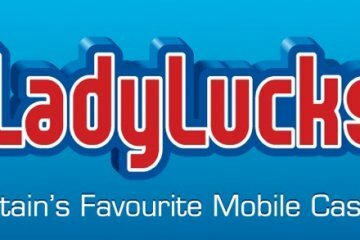 Billed as ‘the UK’s first mobile casino’, LadyLucks certainly has the credentials behind it: licensed in Gibraltar and the UK, part of the Probability Ltd group, and crammed with great mobile games and top-quality action as you’ll read in the LadyLucks Casino review below. But does LadyLucks live up to the young pretenders muscling in on the old-boys’ action? Let’s take a closer look at one of the original mobile casinos. “Basic” probably best describes LadyLucks’ interface, although the homepage is keen to stress new games and features are on their way all the time. Games are listed in one long shopping list which players have to scroll down. Luckily, with only 30 games in total, you won’t be scrolling for long. There’s a straight welcome bonus of 100% up to £500 at LadyLucks. That’s spread over three separate deposits. While £500 sounds pretty sweet, a 50x wagering requirement on all gambling certainly doesn’t. In addition, new players get £20 free into their accounts. Again, there’s a 50x wagering requirement attached to the free cash. Big promotions like The Roulette Masters rewards table game players with the chance to hit a massive cash prize. The top players who gamble on roulette during the month qualify to play in a live final in Gibraltar. In the final, players have the chance to play for a share of a £10,000 prizepool. If big promotions aren’t your thing, LadyLucks awards ‘Daily Bonus Bonanzas’ consisting of cash prizes just for logging into your gaming account. A ‘Refer-a-Friend‘ bonus rewards you with a free £20 if your friend signs up and makes a deposit. Finally, a VIP Loyalty Scheme rewards regular players with exclusive promotions, a dedicated VIP manager, and cashback on gaming losses. iOS users on iPad can download a native app with a full suite of mobile games. However, iPhone and Android customers can still enjoy plenty of mobile-specific games via the no-download client. LadyLucks is operated by GTECH, a subsidiary of gaming giant, IGT. As you’d expect, then, there are plenty of IGT slots and table games propping up the lobby. A real-money Wheel of Fortune game with three prize wheels will be music to the ears of anyone who’s visited Las Vegas in the past 10 years. Although there are only around 30 slots, they’re IGT titles. That means you can take advantage of classics like Prowling Panther, Da Vinci Diamonds, and Pixies of the Forest. Support at LadyLucks Casino is good, with a 0333 number answering calls swiftly. However, there is no freephone UK number for British-based players. Email support was easy and answered our questions in minutes. Payments are varied and carry no fees. The maximum deposits and withdrawals are pretty hefty too. UK gamblers can deposit using VISA Debit or credit cards, MasterCard, Maestro, Solo, or PayPal. You can even pay via your home BT phone account if you’re a holder. It might be showing its age, but LadyLucks Casino still has the might of IGT to call upon. As such, the limited games options is has is still better than many other mobile casinos who don’t have IGT.